useful slug announces DangleSmash for iOS and Android. 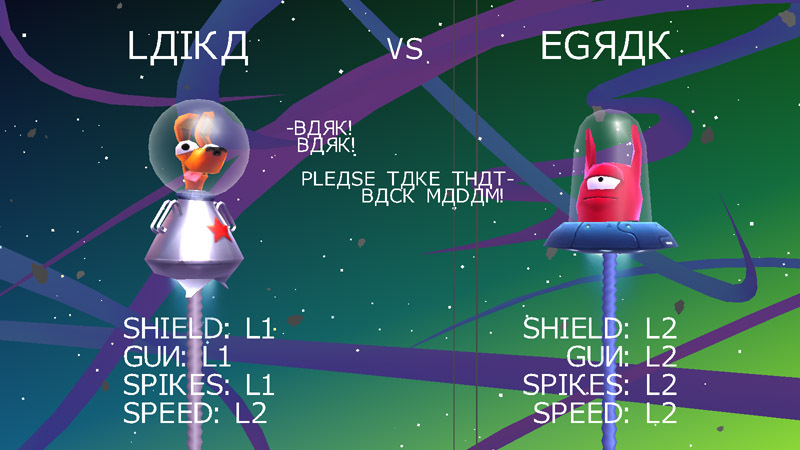 DangleSmash is an upcoming game where you play as a Soviet space dog fighting off an alien invasion. DangleSmash is the first game by useful slug, a duo and occasional collective of illustrators, animators, and programmers. Vegard Myklebust handled programming, game design, and animation while Peet Lee created most of the graphics and audio. Vegard and Peet have previously worked in the animation industry on award-winning TV series, music videos, and short films. DangleSmash was completely independently funded out of the pockets and passion of the creators. In true Norwegian tradition, Vegard also vowed not to cut his beard or hair until the project was complete, which has left him rather unkempt. Facing down an alien invasion, you play an intrepid Soviet space dog whose capsule becomes entangled with the already orbiting Sputnik I. Chase down opponents in a series of one-on-one duels across the planets of the solar system, mastering the effects of each planet’s unique gravity (and yes, Pluto is still a planet!). The game is set in the early days of the space race, which you view through recovered footage from a secret 1950s Soviet Space Program. Graphical effects, such as dust and scratches, Russian-inspired fonts, and audio of old Soviet war marches gel with bright, fun, full-3d graphics. 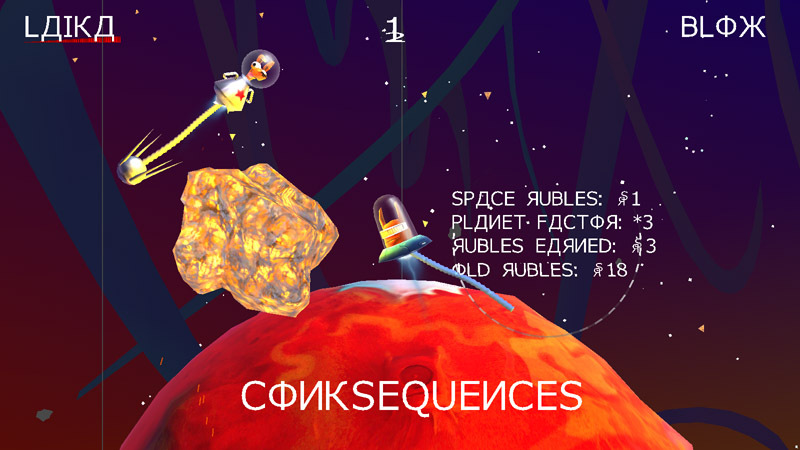 Each battle survived earns you precious ‘Space Rubles’ in loot, which can be spent upgrading various aspects of Sputnik I to better tackle the increasingly tough opponents you meet. For example, you can uncover a Luger attached to a robotic arm hidden in Sputnik I by a nervous scientist ‘in case of unforseen circumstances’, or equip alien technology, such as repulsing shields. Each upgrade tactically alters the game dynamics from that point on. DangleSmash also features a recurring eye-patched nemesis and a cast of unlockable cult sci-fi inspired characters to challenge you with their advanced techniques and tactics! DangleSmash was inspired by the traditional school-yard game of ‘Conkers’, played in autumn by children across the United Kingdom and beyond. String is threaded through a horse-chestnut to make a ‘conker’, with players taking turns to smash their own conker against an opponent’s until one obliterates the other. 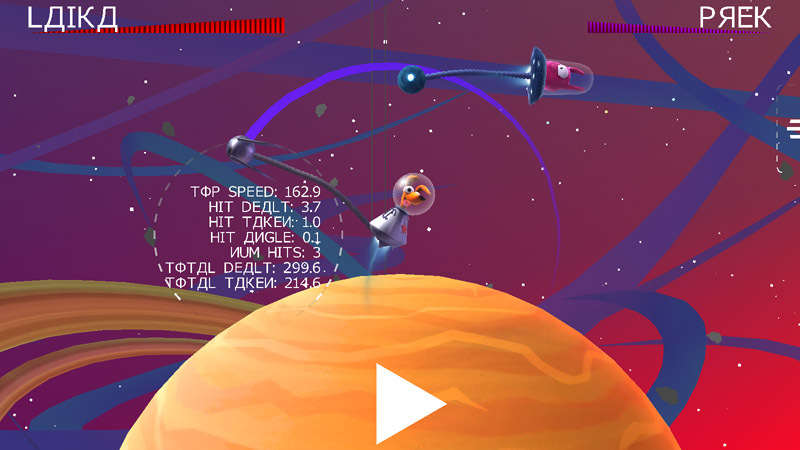 DangleSmash takes this classic experience into space; in a physics-based turn-by-turn smash-em-up! Multiple upgrades change the course of battle – shields, guns, speed boosts, and counter-attacks!